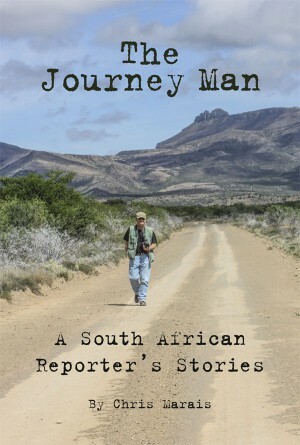 Traveller’s Companion to the Eastern Cape Karoo region of South Africa. 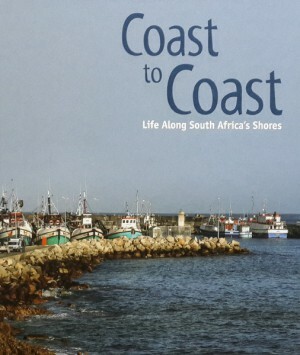 This is a book that reveals the secrets and delights of one of South Africa’s finest and most affordable holiday routes. Road Tripper Eastern Cape Karoo has been compiled and designed as an easy-to-use and compact illustrated guide with a map, 130 insights and an extensive directory to point you to the best of the region. 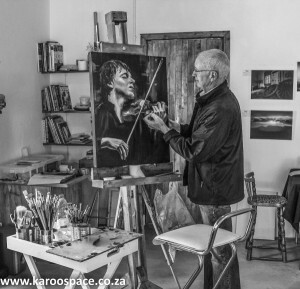 Johan Trollip, one of the artists of Steytlerville. The Eastern Cape Karoo – undiscovered adventures for the traveller. Work out your own Karoo Bucket List of travels. And at the end of your journey, Road Tripper Eastern Cape Karoo will be your take-home memento of a lifetime experience. You will have made new friends and found fresh downtime hideaways to return to, year after year. 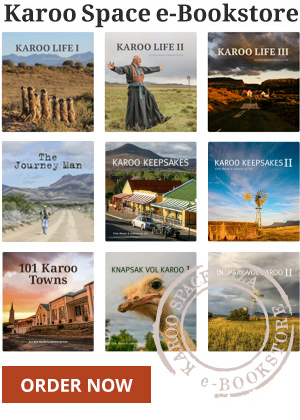 Road Tripper Eastern Cape Karoo is also available as an Ebook, which you can order HERE. Note: The book price includes local postage. If you are ordering from outside South Africa, contact info@karoospace.co.za for postage tariffs. On Friday as I entered Victoria Nance’s Dustcovers in Nieu Bethesda I was greeted by your book. I got one and on arriving home, I read it, every spare moment. Firstly of coure Middelburg, then followed all the other places I know. Just got Road Tripper yesterday and have finished it already!! It is wonderful and a great addition to Karoo literature !!! Well done! Love it!! 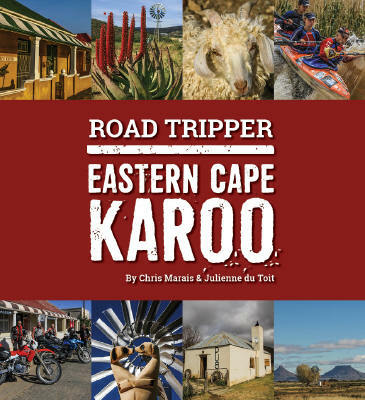 That talented and very productive team, Chris Marais and Julienne du Toit, have just released their latest travel book, Road Tripper – Eastern Cape Karoo. The general area is within striking distance of the lower South Coast, a day’s drive away, and this book then opens it up for us. The book covers 17 towns and villages and the routes in between over 256 facing pages, each with a colourful and often amusing description and usually charming black and white photograph, Chris’s speciality. We meet so many of the region’s human characters, and believe me, there are lots of characters in the Eastern Cape Karoo who have been tracked down by the team, interviewed and photographed, and a few animal characters as well. There is a directory section giving each destination a heading of Eat, Play, Townstays, Farmstays and Events, covering pubs and grub, things to do and see, and where to stay. Go fossil hunting, mountain biking or perhaps at the end of the day, stoep sitting. All this helps to make an ideal travelling companion, particularly as it’s easy to read and will fit into the cubby hole or side pocket of the vehicle. We spent time in the Karoo over the December holidays and your Road Tripper book accompanied us all the way! Love the book! It made our trip so much more fun and also took us places we would never have known about! We travelled parts of the Karoo in December with your Eastern Cape Karoo Road Tripper in hand (bought at padstal). What a pleasure it was to read parts of it aloud to my husband as we drove past or into places mentioned. You have a talent for spotting and recording such interesting new facts about familiar places. We lunched at the Meerkat Deli, sadly no ‘budding beauties’ to take with to Hermanus, but on the way back we could buy enough bottles to intrigue our friends in Pretoria, both with the taste as well as the story. Loved the vignettes on Padkos, Stoep-sitting and especially The Local Lingo. We certainly can’t kom klaar without your books! The best of couch travel will lead to actual travel. 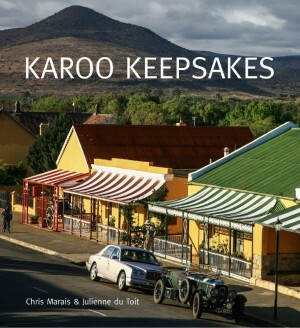 In this book, Chris Marais and Julienne du Toit’s unparalleled knowledge of their ‘hood underpins every page. Visually breathtaking and narratively engrossing, the anecdotes and pictures bring the region to life. Follow the track on the map, get a taste you will want to eat, and let these locals introduce you to the legends of the area’s history. Windmills like the ones in our back yard and decorating our increasingly eclectic Karoo braai spot, which Chris has dubbed our Karoo Cantina, although we’ve adapted that to Cantina Peculiar. The wiry repertoire of these road-side artists has grown to include barques mounted inside bicycle wheels, angels, gemsbokke, outsize lizards and vases of rusty roses. Even our garden gate is garnished with roses fashioned of tin discards. It was Sandra Antrobus, matriarch of Market Street and her Victorian Tuishuise, who brought the Marais-Du Toits to Cradock from Johannesburg and it was she who brought us here from Cape Town. You don’t get to choose your Karoo town. It beckons you. But if you’re thinking of finding the right town that might call you “home”, you could do worse than using these genned-up scribes as a guide. 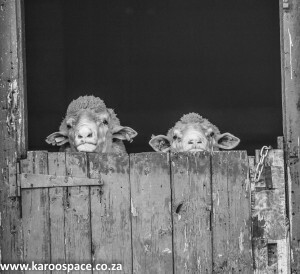 Their Road Tripper – Eastern Cape Karoois well worth having to hand as you set out on the road. We soon learnt on arriving in this half-forgotten province that it is a fascinating new world (to us) of some of the most gorgeous countryside in South Africa. The terrain between towns ranges from sparse Karoo to lush, aloe-speckled mountainside, and in every town there is that curious shop where you will ignore common sense and the budget because you just have to have that, and that, and that. Like the braai-side rose gate we bought in Willowmore, where, they say in Road Tripper, “a serious pub crawl of the Eastern Cape Karoo should always involve a stopover at the Willow Bar”. It’s “a Karoo version of a man cave”, they write, replete with old signs, “your Texaco, your RAC, your Gold Dollar, your ‘Please Close the Gate’ warning and, as a masterpiece of local branding, your Cooper’s Dip signage” (the famous original sheep dip). And, according to the illustrative photograph opposite, the “Beware of Falling Drunks” sign, propped up against a jug of Motyer & Clements home-brewed ginger beer. This “once-rogue Art Deco outpost presents a weekend burlesque performance that stars Jacques in sequins and Mark on piano”. Jacques being “the hardest-working cross-dressing singer in the Karoo”. If you thought Nieu-Bethesda was the Karoo Owl Capital – well, it is, but it is also the Pumpkin Capital, and this remote, eerie village has a Pumpkin Palooza Festival at Easter. “These oddly-named vegetables (such as Big Moose, Turk’s Turban, Blue Doll, Red French and Lesotho Charlie) and their owners compete in categories which include Most Beautiful, Weirdest, Funniest, Smallest, Best-Dressed (yes, pumpkin), and Best Carved.” But the section which “has the judges (diplomatically selected outsiders) scratching their heads most is Sexiest Pumpkin”. “Would that be the gorgeous Hubbard Squash wearing the daring pole-dancer’s thong? Or are we looking for something more discreet, not necessarily shaped like a love nut from the Seychelles?”. Nieu-Bethesda artist Albert Redelinghuys, write Du Toit and Marais, seems to know the answer. “Spend time with the pumpkins, look deeper and you will see most of them have amazingly sensual curves.” Best served hot, presumably. But even between these exotic towns, there are curiosities you may whizz past if you hadn’t read this kind of traveller’s guide first. Like the stone memorial on your left on the road from Middelburg to Richmond. After a battle with British forces, Commandant JC Lötterand Lieutenant PJ Wolfaardt were captured and executed on this spot. Not long ago we drove along that road, but before we had read this book, so we whizzed by, ignorant. Now we know to look for it, stop, and take in another of the gazillions of secret delights that the Karoo holds in its ancient gaze.